Congratulations to Drs. Lu Dong and Fengfei Song, postdoctoral fellows in atmospheric science at Pacific Northwest National Laboratory. They are among five winners of the 2017 Yuxiang Young Scholar Award, presented by the Chinese-American Oceanic and Atmospheric Association and Beijing PIESAT Information Technology Co. Ltd. The award is for outstanding Chinese and/or Chinese-American scholars in oceanic and atmospheric sciences or related fields; who are 35 years old or younger, or within five years of getting their PhD; and have studied or worked in the United States for more than a year. Dong and Song received their PhDs in 2015 from the Institute of Atmospheric Physics at the Chinese Academy of Sciences in Beijing. They joined PNNL in September 2017. Dong was a postdoctoral scholar at the National Oceanic and Atmospheric Administration's Pacific Marine Environmental Laboratory in Seattle before joining PNNL. She studies topics such as long-term changes and decadal differences in sea-surface temperature, large-scale ocean-atmosphere interactions, and influences on climate variability. 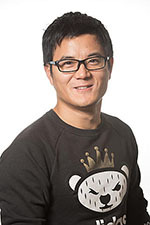 Before coming to PNNL, Song was a postdoctoral scholar at the Scripps Institution of Oceanography, which is part of the University of California, San Diego. His research interests include modeling of large-scale convection systems and their response to warming, as well as climate variability. 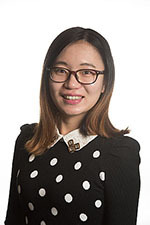 The 2017 Yuxiang Young Scholars received their awards at the 2018 American Meteorological Society Annual Meeting on January 8 in Austin, Texas.